Staying at a hostel can sometimes feel like a roll of the dice. Get lucky, and you’re lounging poolside with free drinks (no, really), crap out and you’re swatting flies and sleeping on a pillow made out of sand. In my travels, I remember once finding the “luxury cot" I booked online was actually a hammock strung above rotting produce. Since then, I’ve stayed at over 150 hostels across the globe, and now even own my own top-rated hostel in Austin, TX. And after thousands of nights spent in them, I’ve seen enough to know the good, the bad, and the ugly. While the hostel scene in the US is still in its infancy (300 total, compared to the 10,000-plus in Europe), there are hostels here that can easily challenge the world's best, not to mention many of the hotels in the same cities. 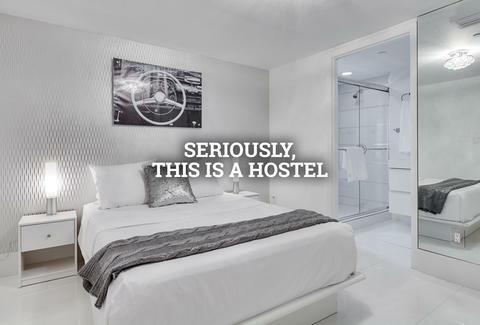 The few below not only stand out among their domestic peers, but set the standard for hostels everywhere. The best hostels usually start with the best owners (and I'm not just saying that because I am one), and the International Travelers House is no exception. Longtime travel partners Bobby Dyer and James Black keep things social at ITH by personally taking guests out on FREE daily excursions. These aren’t your standard free activities either: they range from guided trips through Tijuana and Zion National Park to snowboarding outings and sailing adventures in San Diego Bay aboard their 32ft sailboat. The ITH empire has expanded to three different hostels in the past few years but the standout is the original -- the “adventure hostel” located in the Little Italy area. Hostel Fish may be the nicest place you ever stay -- hostel, hotel, or otherwise. The luxe interior is impeccable, and the attention to detail even goes down to locally designed custom duvet covers. Look out the window, and you'll be treated to views of Coors Field and the Rocky Mountains. Add to it a buzzing scene centered around a newly opened bar, and Hostel Fish dominates as a "luxury hostel" blending the best of both worlds. Green Tortoise started out as a communal tour bus company and that service-oriented thinking carried over into its hostels. This place takes great pride in keeping things fun. and the free pub crawls are a surefire way to make new friends -- and memories. The staff also offers a free daily “Seattle 101” tour to get you acclimated with the city, and the hostel's location in the center of town ensures you don’t have to travel far when you start exploring it with all your new friends. 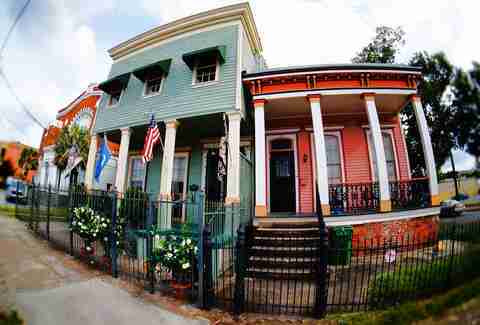 Auberge NOLA is a classic three-story house located on the edge of the Lower Garden District. Inside, the extra-friendly staff and owners have done an amazing job creating a homey atmosphere; it feels like you’re over for a sleepover at an old friend’s, and that friend has invited some new friends. 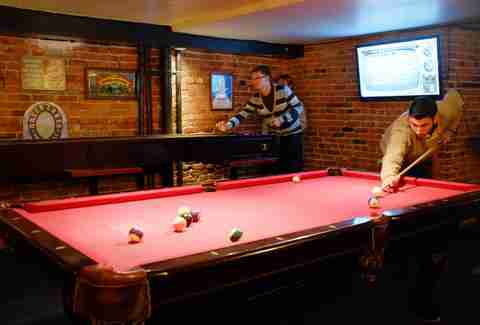 All together the social flame flourishes and is fanned by great outdoor space, plenty of BBQs, beer pong, and music. Of all the other hostels guests talk about when they stay with us in Austin, Auberge is by far the most recommended. 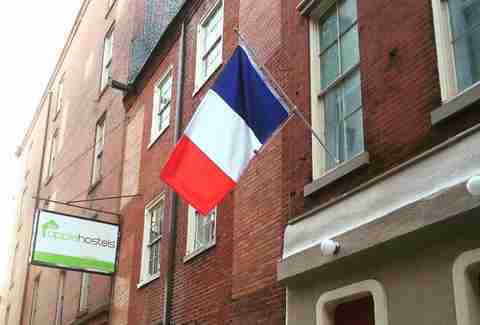 Apple is one of only three hostels available to travelers visiting Philly. So, admittedly, it'd be easy for it to invest little and slide by on demand alone. It's chosen to do the exact opposite, and Apple maintains one of the country's best hostels. Located in the heart of Philadelphia's old city -- just a few blocks from popular attractions like the Liberty Bell and Independence Hall -- the crew here plans fun nightly activities that run the gamut from free open bars, art strolls, and all-you-can-eat pasta nights, to “ghost tours” of haunted Philly spots and even Xbox tournaments -- you know, if gaming is your way to meet people. Hosteling International is the most prevalent chain in the United States, so there are a lot of locations to choose from. But when it comes to HI's best -- it's Boston, hands down. 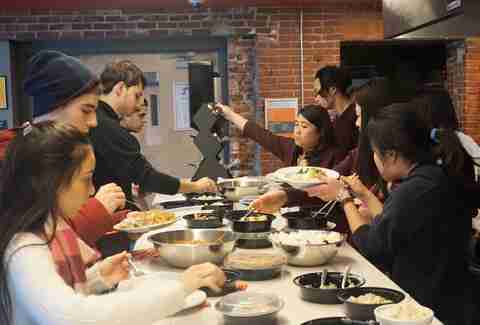 The largest hostel on this list (which often makes keeping an everybody-knows-everybody atmosphere difficult), HI Boston boasts an outgoing staff and a solid lineup of activities that even includes a tour of Fenway Park. If you're earthy and like to keep things green, you'll also be happy to know that the hostel is Boston’s first accommodation provider to achieve LEED (Leadership in Energy & Environmental Design) certification. So, good on them. Now in its 17th year of operation, MBIH is a fixture of the US hostel scene. 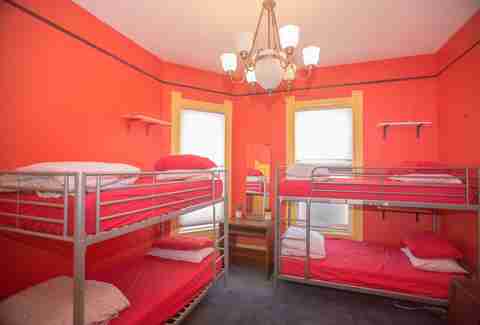 Best known for being extremely social in an extremely social city, the staff and atmosphere are always ranked among the top in the US; which given the hostel's massive size (~200 beds) is particularly impressive. As a guest, expect everything from dance parties and bar crawls to Spanish lessons and discounted covers at Miami’s “coolest” clubs. When you add in that the hostel is a block from the beach and provides THREE free meals a day, it isn’t hard to see why this place has thrived for so long. Brent Underwood is the founder of the top-rated hostel in Austin, HK Austin. When he's not roaming the streets of East Austin with a variety of foreigners in tow, he's working on books as a partner at Brass Check, the creative advisory firm behind over 30 NY Times bestselling books.